Edinburgh & London: William Blackwood and Sons,, 18712. 4 volumes, octavo. 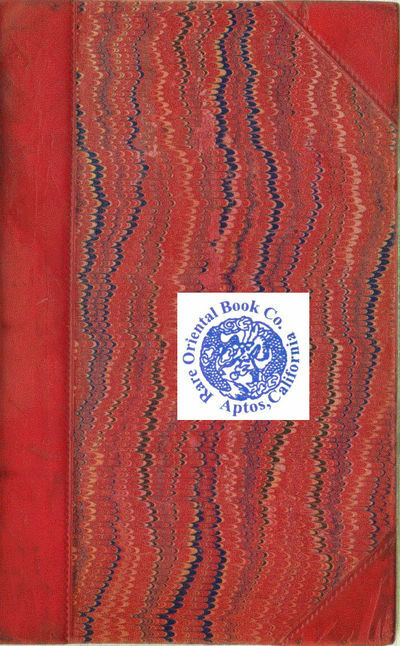 Original bright blue sand-grain cloth, front cover with three-line outer border and decorative three-sided frame in black, rustic lettering in gold; spines lettered in gold, decorative band in gold at top and tail of spine between black rules, rear cover with three-line border blocked in blind, brown coated endpapers. Expert restoration to joints. Spines gently rolled, lightly toned, slight wear to extremities, minor soiling and abrasions to boards, top edge dust toned; a very good set. 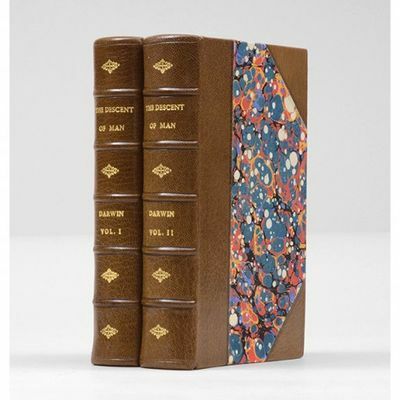 First edition in book form of George Eliot's sixth and greatest novel. The book proved problematic in some ways, being slow in composition and growing too long for the traditional three-decker format. It was Lewes who suggested to Blackwood that, on the model of Victor Hugo's Les Misérables, it should be serialized in eight parts at two-monthly intervals, and published in book form in four volumes. Sadleir notes that Middlemarch is difficult to find in fine state, as many of the four-volume book issues in cloth went to libraries, Middlemarch being particularly popular (Sadleir, p. 378). New York: Currier & Ives, 1871.(). Hand-colored lithograph on wove rag paper10.875 x 14.875 inches sheet size. Image is 9.25 x 12.4375 inches. Gale, 5269 (for the smaller format 1872 version). This print has very wide margins. The impression sold at Swann's on Dec. 1, 2010 (lot 233) for $28,000.00 had a 10 x 14 inch sheets size with much smaller margins and inferior condition. 3/4-inch piece missing from upper left margin. Paris dans les caves par Moloch. London: John Murray, 1871. First Edition. Hardcover. Near fine. Two volumes, 8vo, pp. clxi, 409; xvii, 525, indexed, extensively illustrated with maps (some folding), plates, facsimiles, and illustrations in the text. An attractive, near fine set bound in three-quarter red morocco with five raised bands, gilt ornaments on spines, top edges gilt. Corners rubbed, gift inscription (dated 1873) on each front flyleaf, folding plate of "The Ruc's Egg" laid in to Volume II rather than in a front pocket as originally issued, and with some archival repairs to the verso. 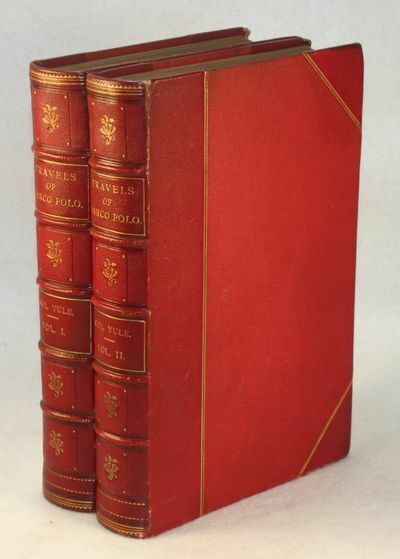 This translation is generally considered the best and most authoritative source on Marco Polo's travels. Yule, a Scottish geographer who settled in Italy, worked on the translation and detailed commentary for many years, corresponding with scholars all over the world and conducting his own extensive research in Palermo, Venice, Florence, Paris, and London. The work won him lasting fame and both the gold medal of the Italian Geographical Society and the founder's medal of the Royal Geographical Society. Cordier 1983. La Haye, 1871. Paperback. UsedGood. 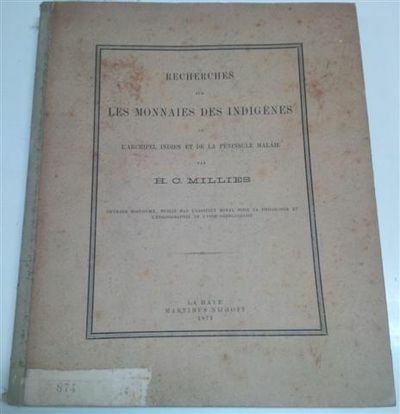 Recherches sur les Monnaies des Indigenes de L'Archipel Indien et de la Peninsule Malaie Some dust/dirt on page edges from long-term storage. 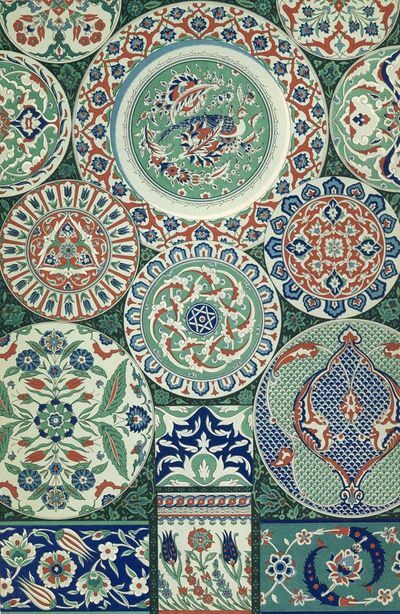 47 Chromolithography plates from the Volume: L'Ornement polychrome, Cent planches en couleurs or et argent contenant environ 2.000 motifs de tous les styles. Art ancien et asiatique, Moyen Age, Renaissance, XVII et XVIII siècle. Recueil historique et pratique. avec des notices explicatives. Signierte Ausgabe - Heinrich Mann - Mann, Heinrich. Mutter Marie. Einleitung von Lyonel Dunin. 262 (1) Seiten (4) Blatt Verlagswerbung 8, gebundene Ausgabe, Original-Halbledereinband, goldverzierter Rücken, marmorierte Kartondeckel, Kopffarbschnitt. mit Lesebändchen, der Rücken beschabt, ansonsten sauber und frisch, auf dem Titel vom Autor signiert. Signaturen Heinrich Manns sind um ein Vielfaches seltener als die seines Bruders Thomas. Luiz Heinrich Mann (* 27. März 1871 in Lübeck - + 11. März 1950 in Santa Monica, Kalifornien) war ein deutscher Schriftsteller und der ältere Bruder von Thomas Mann. London: Strahan & Co., 1871. First edition. Hardcover. Fine. First edition. 10 volumes, 24mo. in beveled emerald green cloth ornately decorated and lettered in gilt, all edges gilt. A tight, bright set, minimal wear at some of the tips; dampstaining only to the front and rear endpapers not extending into the text blocks, bit of light foxing to the half-titles and rear blanks. A very nice set indeed. MacDonald was a pioneer in the field of fantasy literature and was a mentor of Charles Dodgson (Lewis Carroll) as well as an inspiration for Tolkein, L'Engle and C.S. Lewis. In addition to key works such as Phantasies: A Fairy Romance, The Portent, The Light Princess, The Giant's Heart, etc. , the set includes other prose pieces, poetry, song, ballads, etc. 1871. Life at Plumfield with Jo's Boys. Boston: Roberts Brothers, 1871. 4 pp preliminary undated ads. Original green cloth decorated in gilt. 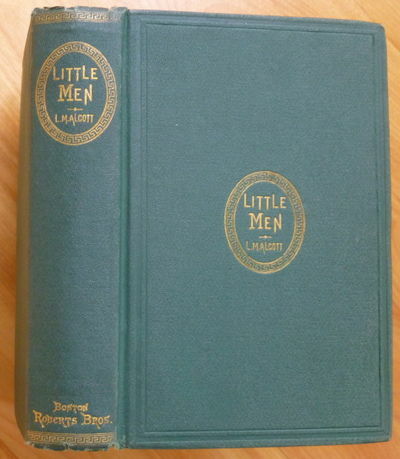 First American Edition, published about two weeks after the London one. This is Louisa May Alcott's sequel to her vastly-successful book for children LITTLE WOMEN (two volumes, 1868-1869), in which she had portrayed her own childhood in New England -- with herself as the model for "Jo," and her sisters May, Elizabeth and Anna as (respectively) "Amy," "Beth" and "Meg. "~This copy is in green cloth (purple and terra-cotta were also available, without priority), and is of the first issue, with "now" the first word of line 5 on p. 146 (later changed to "Nan"), and with PINK AND WHITE TYRANNY listed in the ads as "nearly ready." This is a near-fine, bright copy (just a trace of wear at the spine ends, the volume slightly askew as usual). Blanck 167. Widmungsexemplar - Paul Valéry - Valery, Paul. 102 (7) Seiten Gr.-8, fadengehetet, der Buchrücken repariert, der Vorsatz und Titel leicht stockfleckig, ansonsten das Buch sauber und frisch, auf dem Vorsatz vom Autor persönlich gewidmet. Insgesamt wurden 285 arabisch numerierte Exemplare gedruckt sowie weitere 30 Exemplare römisch numeriert, die zur persönlichen Verfügung des Autors standen. Dieses Exemplare ist die Nummer XXVIII und wurde von Paul Valéry Monsieur Charles Salomon gewidmet. Ambroise Paul Toussaint Jules Valéry (* 30. Oktober 1871 in Sète/Frankreich - + 20. Juli 1945 in Paris) war ein berühmter französischer Lyriker, Philosoph und Essayist. Valéry war wohl der letzte Autor in Frankreich, der mit Lyrik seinen Lebensunterhalt bestreiten konnte. Er hatte den Status eines Dichterfürsten, der mit gut bezahlten Auftragsarbeiten von Verlagen und Zeitschriften bedacht und häufig zu Vorträgen und Lesungen eingeladen wurde. Er war befreundet mit R. M. Rilke, Herbert Steiner und der Malerin Marie Elisabeth Wrede, die das Porträt von Valery in einer repräsentativen Kaltnadelradierung festhielt. 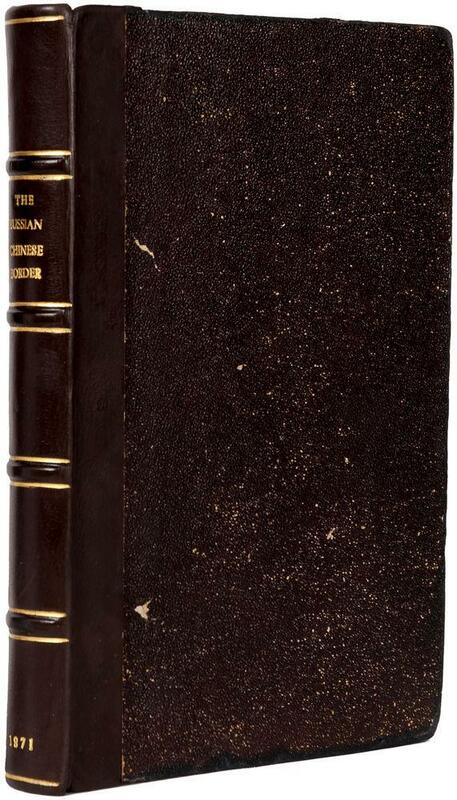 London: Virtue & Co. / Strahan & Co. G : in Good condition without dust jackets. Covers rubbed and scuffed. 1871. First Edition. Green hardback half-leather cover. 220mm x 140mm (9" x 6"). 7000pp + plates. 54 b/w plates. Volumes I-III published by Virtue, volumes IV-IX published by Strahan. Became ''The Saint Pauls Magazine' after April 1870. .
Stimmen aus Maria-Laach - Katholische Blätter - Band (Jahrgang) 1-4, 6-61, 63-79, 81-92, 94-95, 97, 99, 103.Band,1922. IX.Ergänzungsband 1886; 1.-3.Registerband (Band 1-75) - ab 1915 unter dem Titel \"Stimmen der Zeit\". Freiburg, Herder 1871 - 1922. 1.Auflage, Ca.300-600 Seiten pro Band, vereinzelt zwei Bände in einem Band bzw. ein Band in zwei Bänden gebunden, 8° , im Laufe der Zeit etwas unterschiedliche Bibliothekseinband Einband etwas berieben, einzelne Bände mit kl.Schäden, Bibl.Ex.einer Katholischen Schule, insgesamt in guten und sauberen Zustand - ca.88 Bände. Achtung, Bei diesem Gesamtgewicht arbeiten die automatischen Portoberechnungen der Plattformen nicht korrekt. Bitte anfragen. Poezdka po Kitaiskoi granitse ot Altaia do Tarbagataia. Boston and New York: Lee and Shepard. . First edition. First edition. 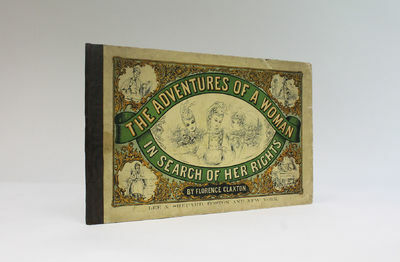 Publisher's original paper covered pictorial boards over brown cloth spine. 17pp. Containing nearly 100 captioned sketches by Victorian illustrator Florence Claxton reproduced in facsimile by graphotype process of engraving. The boards are a worn to the edges with some darkening and the odd mark but intact and without repair or the need for. The contents are entirely complete, the front endpaper split at the hinge and with a neat previous owner's ink name and address. The pages have a few marks, finger marks or some spotting to the margins throughout. A good example of an obviously flimsy and fragile production. Scarce. Further details and images for any of the items listed are available on request. Lucius Books welcomes direct contact with our customers. Edinburgh, Adam and Charles Black, 1871. Octavo, three volumes, xiv (last blank), 852; x, 562, 4 (review of the first volume); and xxiv, 790, 14 (reviews of the first two volumes) pages with numerous illustrations. Blind-ruled cloth; a few corners a little bumped; spines a little marked and sunned; short tear to the head of one spine; tiny hole in one front hinge; an excellent set. With the ownership signature of Henry G. Terry (22 March 1894) on each front flyleaf. Sir James Young Simpson (1811-1870), physician, was appointed to the Chair of Midwifery at Edinburgh University in 1839, at the age of 28. 'In 1846, when news of the first trials of sulphuric ether in America reached Scotland, Simpson ... at once made the first trial of it in obstetric practice, and, convinced of its utility, enthusiastically advocated its use. But he soon came to the conclusion that a more efficient and portable anæsthetic might be found. Chloroform had been hitherto used solely for internal administration. On 4 November 1847 Simpson and his assistants ... made for the first time the experiment of inhaling it. They proved its efficacy as an anæsthetic by simultaneously falling insensible below the table. The public trial of it was successfully held a fortnight later at Edinburgh Infirmary. Its use was strongly denounced as dangerous to health, morals, and religion, and Simpson had to battle stubbornly against prejudice, but he ultimately won the victory, and chloroform as an anæsthetic came into universal use. But the development of anæsthesia was by no means Simpson's sole achievement. His genius was of a versatile order, and prompted him to attack questions as far asunder as acupressure and the use of the pyramids. His chief triumphs, apart from his contribution to anæsthesia, were in gynæcology and obstetrics. It may be said that he laid the greater part of the foundation of gynæcology. His discovery of the means of investigating disease, notably the uterine sound and the sponge tent, gave a power of diagnosis previously wanting, and enabled the practitioner to carry out treatment impossible before. 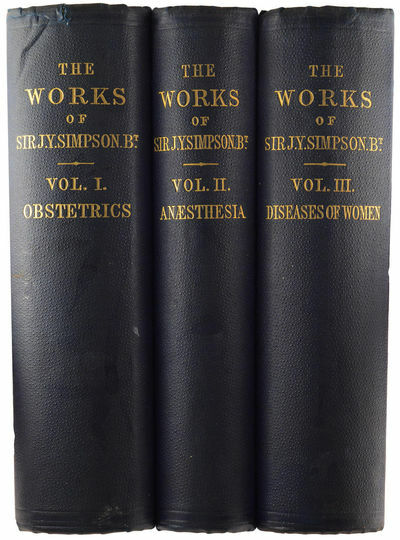 To the science of obstetrics at the same time Simpson gave a new precision, while in the practical branches, notably in the use of the obstetric forceps and of the various methods of ovariotomy, his work was of the highest value. His papers on version in deformed pelves, on methods of version, on puerperal conditions, and many other subjects, are of permanent importance. His monograph on hermaphroditism is still the best exposition of a most difficult subject' (Dictionary of National Biography online). Paris: V. Masson, 1871. Lancereaux, Etienne (1829-1910). 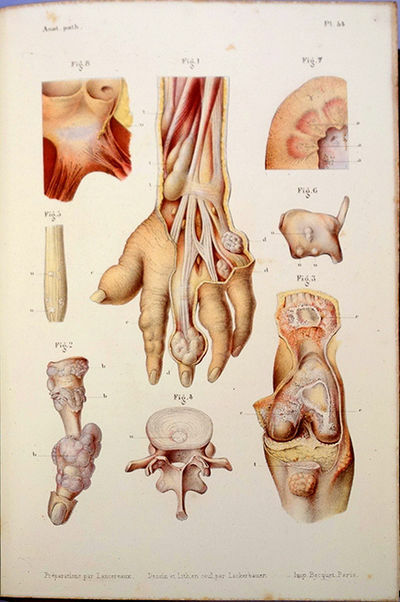 Atlas d'anatomie pathologique. 2 vols. (text and atlas). Text: xi, 552pp. ; atlas: , [30, interleaved plate keys], [6, "Table des figures"]pp. 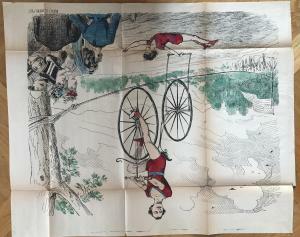 and 60 chromolithographed plates by P. Lackerbauer. Paris: Victor Masson et fils, 1871. 267 x 186 mm. Quarter morocco gilt, mottled boards ca. 1871, light wear at extremities. Minor foxing (a bit heavier on plates), but a very good to fine copy. First Edition. The French physiologist Lancereaux received his medical degree in 1862 and subsequently was appointed Médecin des hôpitaux in Paris; he later served as president of the Académie Nationale de Médecine. He was the first to recognize that diabetes mellitus was caused by histological changes in the pancreas (see Morton / Historyofmedicine.com 3943); he also described infectious jaundice, published an important work on syphilis (see Morton / Historyofmedicine.com 2390.1), and discovered the transmission of typhoid by water. 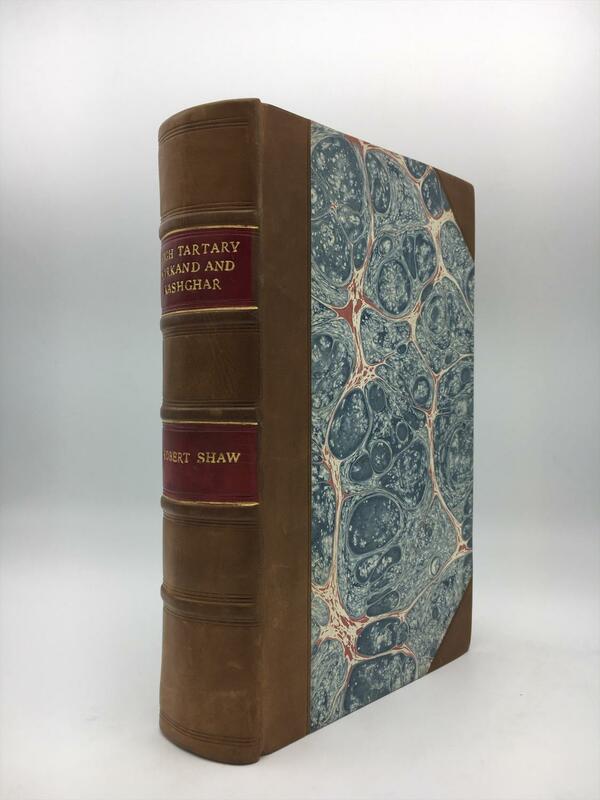 His Atlas d'anatomie pathologique is extensively illustrated with both macroscopic and microscopic images of pathological conditions, the best of these being those of the bones, joints, muscles and the liver. Goldschmid, Entwicklung und Bibliographie der pathologische-anatomischen Abbildung, pp. 206-7. Brussels & Paris: C. Muquardt; J. Bailličre, 1871. Quetelet, Lambert Adolphe Jacques (1796-1874). Anthropométrie ou mesure des différentes facultés de l'homme. 8vo. , 6-479pp. 2 folding lithographed plates; wood-engraved text illustrations. Brussels: C. Muquardt; Paris: J. Bailličre & Fils, 1871. 250 x 167 mm. 20th century half cloth, paste paper boards, original printed rear wrapper bound in, front hinge cracked and first signature starting. Minor foxing and toning but a good copy. First Edition, version with 1871 title-page. 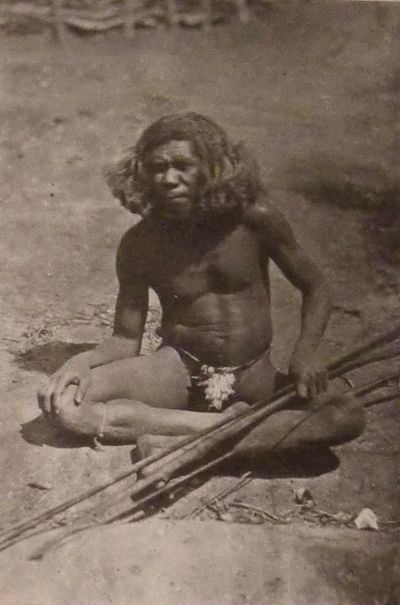 In this work and in his Physique sociale ou essai sur le developpement des facultés de l'homme (1869), Quetelet established the basis for mathematical study of anthropological data. "Quetelet showed that if a series of anthropological measurements of either physical or intellectual qualities were plotted on squared paper, allowing x to be the measurements and y to be their frequency, they formed a curve like that representing the expansion of the binomial, or like that formed by plotting the errors of a great number of observers [i.e., the Gaussian curve]" (Penniman, p. 105). By applying the mathematics of the Gaussian curve to anthropological data, it became possible to plot the average or "standard" deviation from the statistical average, and thus to interpret anthropological data with greater exactness. In our 1991 catalogue of the Haskell F. Norman library, we had stated that there were two Brussels editions of Quetelet's work, published by C. Muquardt in 1870 and 1871. 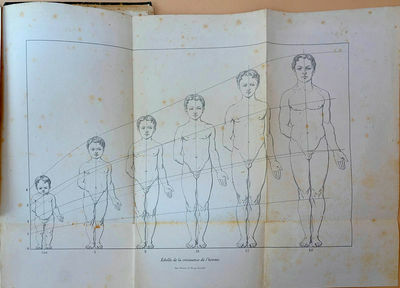 OCLC shows both the 1870 and 1871 versions of Anthropometrie to have identical collations, and we now believe that the 1870 and 1871 versions represent different states or issues. Garrison-Morton.com 171 (citing 1870 version). Middlemarch: a study of provincial life. FIRST EDITION. 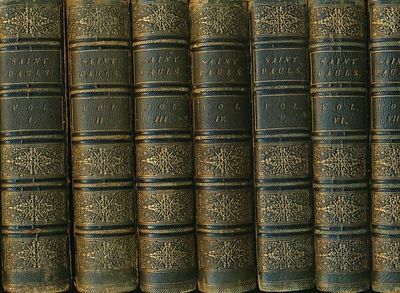 4 vols bound as 8 books. Edinburgh: William Blackwood. 1871-72 Half titles; text sl. rubbed towards end of book 7, probably during binding process; book 1 titlepage sl. cut down in lower margin, with loss of Rights of Translation statement. Contemporary blue sand-grained binder&apos;s cloth, plain boards, spines up-lettered in gilt; hinges sl. splitting vol. I, sl. rubbing to heads & tails of spines. A nice tight set.Baker & Ross A10.1.a; Sadleir 815; Wolff 2059a. 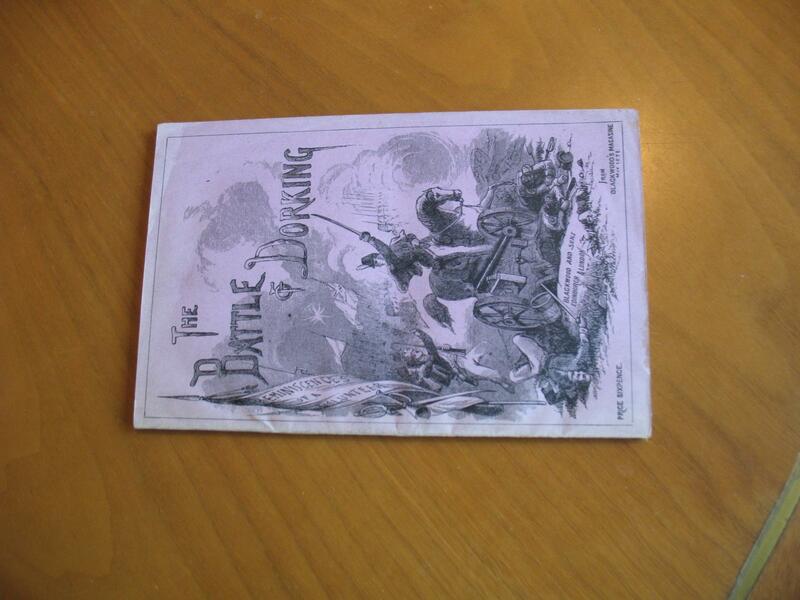 Originally issued in eight &apos;books&apos; in yellow-green printed wrappers; some copies were bound in cloth by Mudie&apos;s or other lending libraries, but the binder of this copy is not identified. Only books 1,3,5 & 7 have titlepages, as books 2,4,6 & 8 constitute the second book of each vol. and were issued without. These volumes use the half or fly title as substitute titlepages. London: Strahan & Co.,, 1871. 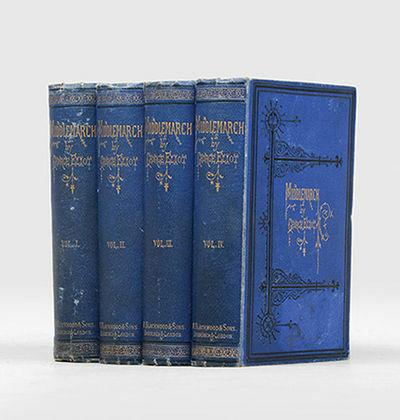 10 volumes, sextodecimo. 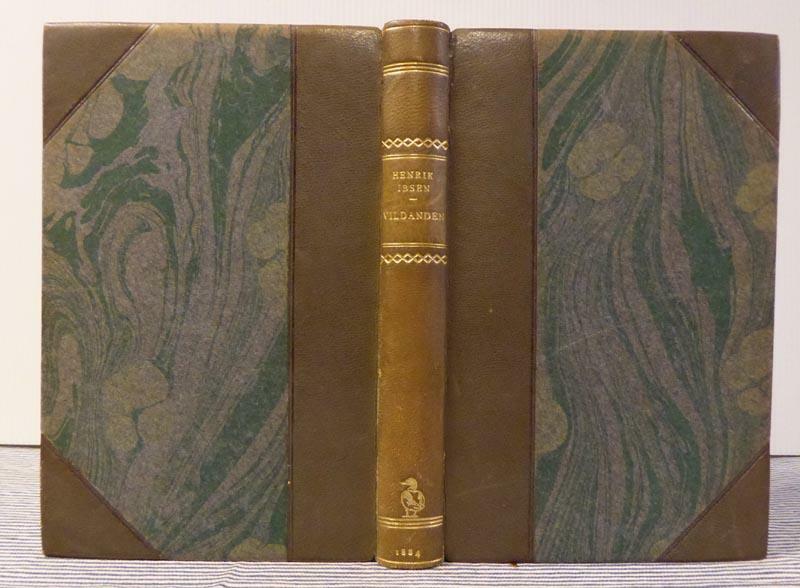 Original green cloth, flat spines gilt lettered direct with gilt fleurons to compartments, elaborate panelled design gilt stamped to front covers and blind stamped to rear covers, brown coated endpapers, all edges gilt. Some light rubbing to covers and spines, small bump to fore edge of front cover of volume VII, silk page markers of volumes IX and X detached, occasional light foxing. A very good set. First collected edition of the works of George Macdonald, a mentor of Lewis Carroll and a pioneer in the development of English fantasy writing. LA SAGRADA BIBLIA Traducida de la Vulgata latina al español, aclarado el sentido de algunos lugares con la luz que dan los textos originales hebreo y griego, e ilustrada con varias notas sacadas de los Santos Padres y expositores sagrados, por D. Félix Torres Amat. Nueva edición ilustrada por Gustavo Doré. - Barcelona, Montaner y Simón, 1871-73, 4 tomos, 44 x 31 cm., bella encuadernación editorial en lomo piel y tela roja, estampaciones doradas en la tapa anterior, lomo con adornos dorados, 4 h. + 362 columnas + 52 págs. + 1 h. y 69 láminas = 2 h. + 390 columnas + 59 págs. - 1 h. y 50 láminas = 2 h. + 722 columnas + 97 págs. + 1 h. y 33 láminas = 2 h. + 420 columnas + 58 págs. + 1 h. + 4 págs. y 78 láminas. (Ejemplar con algunos puntos de óxido y con algún leve desgarro en dos lomos). A History of the Birds of Europe, including all the species inhabiting the Western Palaeartic Region. Vol. III. London, Publishes by the Author s.d. (1871-1880). A fine folding geological map of the country with bright original handcolouring illustrating the geological strata, an inset map of the Shetland and Orkney Islands to the upper right of the north east sheet plus 9 sections from around the country beneath also coloured, the map printed over four parts, each measuring c. 76 x 63.5 cm, i.e. 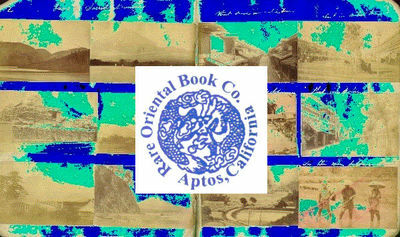 152 x 127 cm if joined, each part dissected into 24 sections and mounted on linen, marbled paper to each of the folded end sections with miniature outline maps to one side of each part, publisher's green morocco slipcase, gilt ruled and lettered to the spine, gilt arms of British crown to the upper board. Occasional mild discolouration to the maps, mostly to the sea areas, a very good example overall. 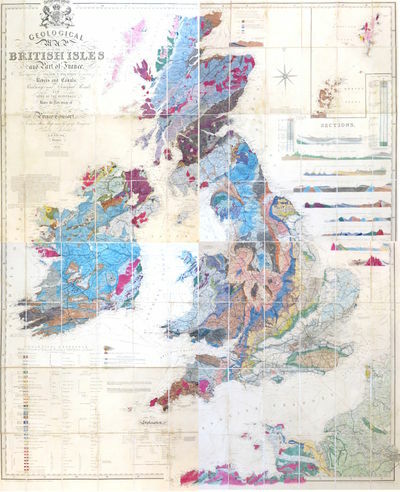 A revised issue of the second edition of Knipe's magnificent geological map of the British Isles, the first issue of the first edition having been published in 1843 with the first issue of the second edition appearing in 1851. As with Knipe's previous notable geological map, that of England & Wales published from 1835 onwards, the map was updated with fresh data collected from fieldwork and reissued at intervals. This edition has a printed list of "authorities consulted" that provides an illustrious roll call of Knipe's forerunners and contemporaries in the science: Smith, Greenough, Lyell, Mantell and Murchison to name but a few. Also, an addenda to that list highlighting the sources of the data added to the map in the period between 1851 and the date of publication, including information on the Scottish "gold fields" entered by W.I. Lindsay in late 1860s. Paris: Imp. Schiller, Paris, 1871. Book measures 24 3/4 x 18 1/2 inches, [ 63x47mm ]. Bound in half calf, calf corners,cloth boards, raised bands, leather title labels. Binding rubbed, some abrasion wear, back board has a damp patch which has lifted the cloth, [ not affecting text ]. 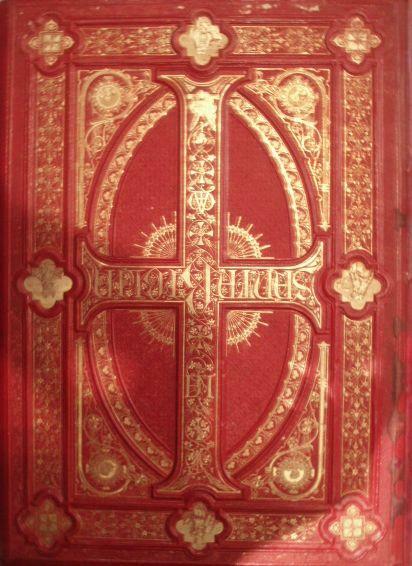 Binding in good firm condition. Internally, a couple of issues have some light browning or spotting. Pages in very good clean condition. A very nice clean newspaper.. Very Good Plus. Elephant Folio - over 15" - 23" tall. Geological Map of the British Isles and Part of France. Showing also the Inland Navigation by Means of Rivers and Canals, Railways and Principal Roads, and Sites of the Minerals..
London: Published for the Proprietor by Stanford... & by Grant & Griffith... (Late Harris) also at Edinburgh by W. & A.K. Johnston, 1871. A fine folding geological map of the country with bright original handcolouring illustrating the geological strata, an inset map of the Shetland and Orkney Islands to the upper right of the north east sheet plus 9 sections from around the country beneath also coloured, the map printed over four parts, each measuring c. 76 x 63.5 cm, i.e. 152 x 127 cm if joined, each part dissected into 24 sections and mounted on linen, marbled paper to each of the folded end sections with miniature outline maps to one side of each part, publisher's green morocco slipcase, gilt ruled and lettered to the spine, gilt arms of British crown to the upper board. Occasional mild discolouration to the maps, mostly to the sea areas, a very good example overall. A revised issue of the second edition of Knipe's magnificent geological map of the British Isles, the first issue of the first edition having been published in 1843 with the first issue of the second edition appearing in 1851. As with Knipe's previous notable geological map, that of England & Wales published from 1835 onwards, the map was updated with fresh data collected from fieldwork and reissued at intervals. This edition has a printed list of "authorities consulted" that provides an illustrious roll call of Knipe's forerunners and contemporaries in the science: Smith, Greenough, Lyell, Mantell and Murchison to name but a few. Also, an addenda to that list highlighting the sources of the data added to the map in the period between 1851 and the date of publication, including information on the Scottish "gold fields" entered by W.I. Lindsay in late 1860s. 1871. 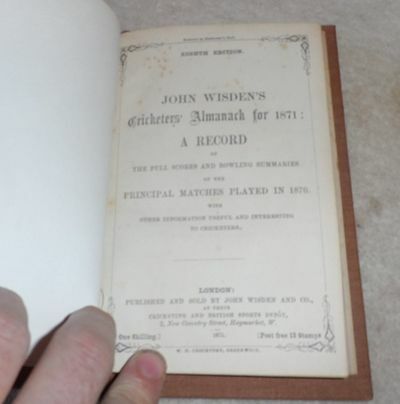 Hi, This is a Wisden from the Adrian Ellis Collection. 1871 : Rebound without Covers This Wisden is bound in light brown with gilt to the spine, the internal book is excellent, a tiny amount of spotting to the title page and page block but other than that it is in excellent condition. Monrose ou le Libertin par fatalité. Bordeaux, Chaumas, 1871. ____ Septième et dernière édition, augmentée d'un supplément et accompagnée d'un grand nombre de vues de châteaux du Médoc et autres, d'une carte du département de la Gironde, de deux cartes donnant la classification des vins rouges et des vins blancs, et de divers tableaux synoptiques. Un des meilleurs ouvrages sur les vins du Médoc au XIXe. 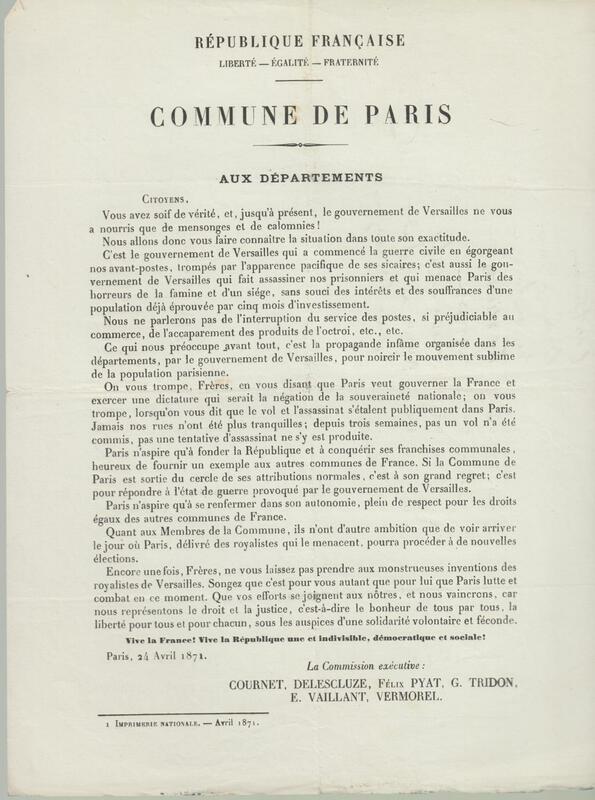 Publié pour la première fois en 1824, il a été réédité et sans cesse augmenté. Toutes les éditions de cet ouvrage sont recherchées. Illustré par 40 planches hors-texte dont une carte dépliante en couleurs de la Gironde et 6 tableaux hors-texte. Petits défauts à la couverture imprimée, assez bel exemplaire, à l'état de parution. Vicaire 372. *-------*. In-8. [224 x 142 mm] Collation : (4), IV, 404 pp., 40 planches hors-texte. 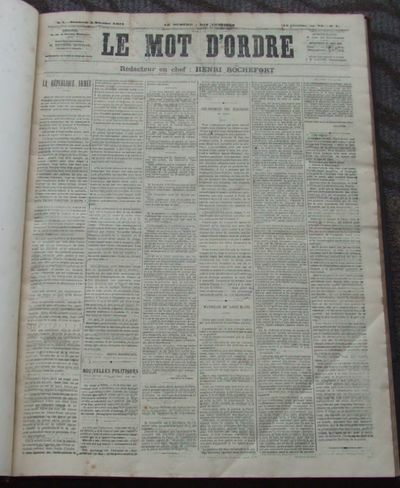 Broché, couverture imprimée verte. Two volumes. 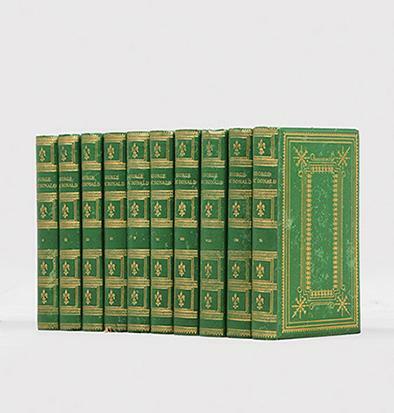 Original green John Murray binding which has benefitted from professional repairs to the spine ends of both volumes, and repairs to the internal hinges. With bookplate of Nils Fries to the front paste-down of both volumes and his neat signature to ffep of both volumes also. Contents beautifully clean and seemingly unread. Boards very bright and with one minor scuff to the spine of volume 1; o/w. in thoroughly vg. condition. 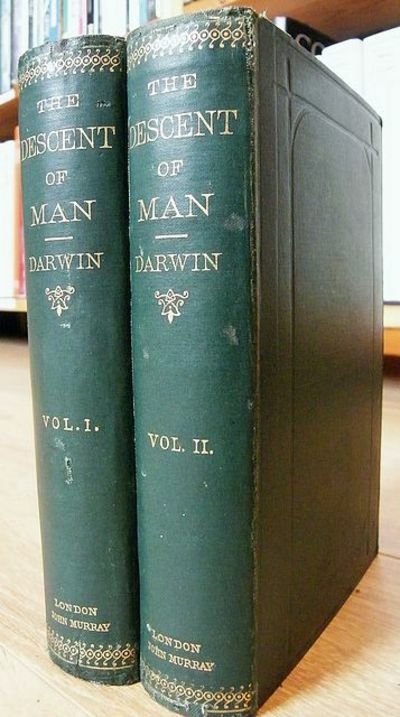 A nice set, hard to find in original bindings which are much preferred by Darwin collectors. Scarce. (Freeman 937). 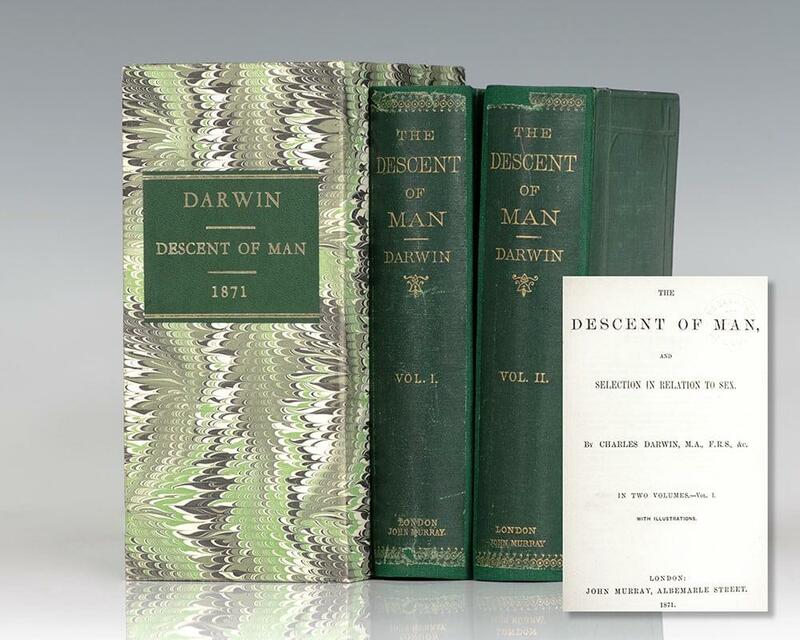 The first issue of 'The Descent of Man' had a print-run of just 2,500 copies. 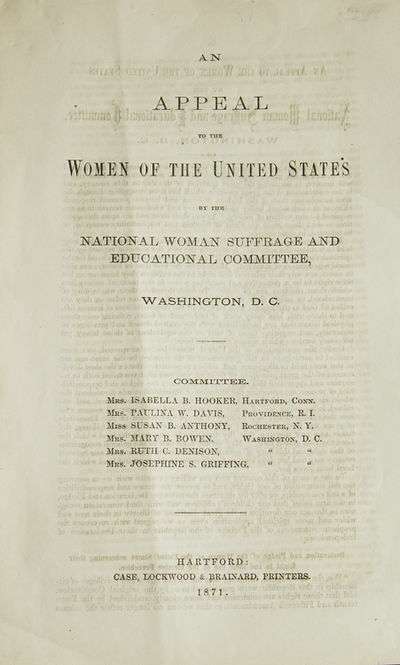 It was published in February 1871, closely followed in March 1871 by the second issue printing of a further 2,000 copies. Controversially received like 'Origin of Species' before it, the word 'evolution' occurs here for the first time in any of Darwin's works. It can be found on page 2 of the first volume. Unbezeichnete kolorierte Lithographie. Darstellung einer "Velocipedfahrt in der Luft" der Artist fährt mit seinem Veloziped auf dem Hochseil, an einer an der hinteren Achse befestigten Schaukel hält er sicher mit einer Hand eine grazile Artistin fest, die scheinbar mühelos unter dem Seil fliegt. Im Vordergrund betrachtet eine feine Besuchergesellschaft den Vorgang in der Manege, der Hintergrund deutet amerikanische Soldaten mit dem Union Jack an. Blattgr. : 63 x 77 cm. Das unbezeichnete Plakat zeigt Mitglieder der amerikanischen Gymnastiker-Gesellschaft von C. Merkel, die 1871 im Münchner Zoologischen Garten, damals am Rande des Englischen Gartens gelegen, gastierte. Das Plakat wurde im Zusammenhang mit Plakaten dieser Gesellschaft und deren Münchner Auftritt erworben. Edinburgh: Edmonston and Douglas, 1871. xi, (1) 233, (2 adverts) pp. b/w photogravure and colored lithograph plates. First edition. Insider's account of blackbirding - the practice of kidnapping native labor from South Pacific islands. The author cuts to the chase: Of late English traders find black-birding' far more lucrative than beche-de-mering. He includes first person and trial testimony. Not much hard fact has been written about this notorious practice, so Palmer's book is an important and rare source. Ferguson 13727. The color lithos are done from the author's own drawings. 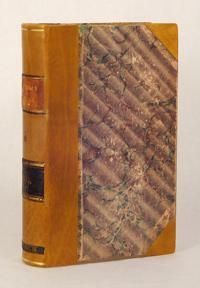 A very good copy bound in original marooon cloth with black rules and gold spine lettering. London 1871, Murray. 3/4 red leather over marbled boards, very good, 475p., 13 b.w. plates, folding map, appendix, bookplate. QUITE S C A R C E A fascinating primary narrative of the overland journey from the plains of Hoopeh to Ichang, Chun China, Chen-tu, Hi-Yan-Ky, Tai-Tsian-Loo, Eastern Thibet, Bathang, Atenze, the tribes of the Lan-Tsan-Kiang and amongst the Tze-Fans. Imprisonment at Weisee, return to Ta-Tsian-Loo and homewards. This wonderful resource is a careful description of what and who the author saw, the customs and actions of the people, their interactions with the expediton, and commentaries on the natural history, geography, customs and environment he travelled in. "A valuable book..." by "one of the most adventurous of modern English travellers." D.N.B. The 1st edition was published in 1869 soon after the author's return from Hankow. He had attempted to traverse Tibet to India against the orders of the Chinese authorities. Three days from Weisei he was imprisoned on suspicion of spying and kept for weeks weeks, then forced to descend the Min & Yangtsze rivers to Hankow. . Album von Leipzig. Erinnerungs-Blätter gezeichnet und lithographiert. Boston: Lee, Shepard and Dillingham. Very Good. 1871. First Edition. Hardcover. 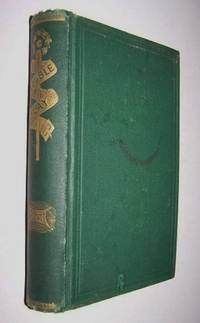 (viii), 244 pages; Clean and secure in original green cloth binding with gilt lettering and gilt image of a baseball and a baseball bat at spine. Faint inscription in pencil on first blank "S.F. Sweetser / from / M. Warren" An attractive example of this scarce baseball novel. This book Double Play was Everett's second novel featuring a baseball theme (the first was Changing Base published in 1868). This book involves a game between the local Starlings baseball club and their challengers The Wide-Awakes from a nearby town. The style of their new pitcher Wheeler is much discussed and there is some play by play description of at least one of the games. William Everett (1839  1910) was born in Watertown, Massachusetts, the son of U.S. Secretary of State Edward Everett. He graduated from Harvard University in 1859, from Trinity College, Cambridge in 1863 and from Harvard University's law department in 1865. He tutored at Harvard University from 1870 to 1873, then was promoted to assistant professor of Latin, a position he held till 1877. 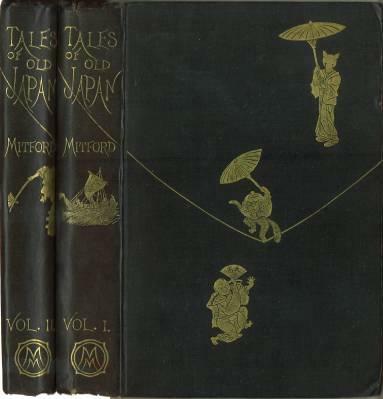 He became master of Adams Academy in 1878. .
Tales of Old Japan. In two volumes. Vol I. Vol II. With Illustrations, drawn and cut on wood by Japanese artists. 1871 1871 - Orig. udgave. Kbhvn. : Gyldendalske Boghandel 1884. + 244 s. Ubeskåret eksemplar indbundet med de orig. omslag og guldsnit foroven i smukt privat, let falmet, halvlæder med guldtryk på ryggen. Bindet signeret Anker Kyster. Det orig. foromslag med lille navn, ellers rent og meget velholdt eksemplar. NOTEBOOK OF FELICE BEATO & RAIMUND VON STILLFRIED PHOTOGRAPHS. [Japan, n.d. ca. 1871-1883]. Notebook mounted sepia tone photographs, two basic sizes: smallest: 108 each 8.5 x 5 cm, largest: 8 each: 14 x 12 cm., all very good, strong, clear non-faded images, first photo has small tear balance fine. This is a rare collection of Stillfried & Beato photographs. Mounted in a lined paper notebook, no covers, 17.5 x 21 cm., soiled first blank & back cover pages, contents quite clean. Each page has about 6 small images per page, and other pages have a combination of one large with about 3 smaller sized photos, [22 pages] with photos, balance are blanks. A famous photograph is found on page , showing four Japanese men pushing a cart ladened with several bails of rice. This is illustrated in to common reference books: Hugh Cortazzi et al: JAPAN CAUGHT IN TIME, photograph 27, attributed to Von Stillfried, in a color version. It is also illustrated in ONCE UPON A TIME, page 79 again in color, but this time with the number 563 in lower right corner, attributed to Felice Beato. Beato had been an early Yokohama photographer in Japan from 1869-1877. The great fire of 1866 had destroyed a large number of his negatives, so he spent a year working diligently to replace all he had lost. Exhausted by 1868, he began to look for other business; in 1877, he sold his stock and archives to Von Stillfried. Therefore this collection has that distinct look of Beato's works, with some likely Von Stillfried added images. The images were available for purchase by foreigners who visited Yokohama and bought some memorial photos, most of which were put into handsome lacqu- er albums. A few other foreigners who had less money to spend just bought selected photos and put them in their own albums, ergo what we have here. Old pen captions read: A memorial of a visit to Yokohama, and a tour of Japan. Entra- nce to a temple; Burial ground; Views of sacred mountain [Mt. Fuji] 9 photos; Street scent in native town; Yokohama; In the rice fields; Silk weaving room; Picking tea leaves; Views of Yokohama; School for Japanese children; Seminary for young ladies [actually a house of prostitution!]. In the interior [native street scenes]; View of Yokio [sic for Tokio]; Railway terminal; the river; Views of Yokohama:rail- way station; gentleman's house. Nagasaki: Town of Nagasaki; seaport town; in the mountains; town hall of Yokohama; Rail- way between Yokohama &c; Then the captions end. Other photos show Kintai Bridge in Iwakuni; waterfalls, leisure boats with Geisha, Kyoto pagoda; Photos of Japanese girls in elab- orate Kimono costume; A street scene with rickshaw pullers before a great merchant's business [dye shop]. More Japanese women, one in a Western dress, others in Kimono; view of a Japanese temple; Japanese coolies being served wine by two women; Women in winter Kimono and scarf; View of Yokohama city and bay from the bluff; women musicans, rickshaw puller and children; girl having her coiffeur done; Various sellers with "yoke" type carriers on their shoulder; one carries load on her head; girls with umbrella; male coiffeur, basket sellers. The great bronze Buddha at Kamakura, temple scenes, Japanse women with dolls; mother and baby; then the very famous photo of pullers of rice bails; children musicians play Shamisen, another plays the Koto. Waterfalls [Nikko], girls sleeping under Futon; Street with many rickshaws before the theatre. Children entertainers and acrobats,girls playing string games; others drink tea; another group of three sing, others play the Shamisen, another musical group play the Tsutsumi drum,Shamisen, and flute. A child studying by oil lamp. Views of Yokohama harbour and the bay with a large number of grand sized Kuro-fune or "Black ships" which were the earliest of sailing vessels to visit Japan. Most have three large sail masts. Antoher shows the quay in Yoko- hama with its stone lanterns; the last shows a very low in the water type sailing ship with center smoke stack, flying the Japanese flag. The last page shows a man with a Japanese head on a box, perhaps a magician, next to that is one show- ing two Japanese criminals with large wooden stocks on their necks, the last shows a Japanese carpenter with a hoe-like tool plaining wood. An exciting work, showing a wide variety of Japanese life, and two famous ports and their environs. People who catalogue Japanese photos do not always give credit to both Beato and Stillfried for some photographs, but rather naively cite just one photographer. Due to the nature of the transfer of the Beato business to Stillfried, there is always a question, as to which person took the photo or made a reprint of it. Nevertheless, this collection is early and quite rare ! A large number of these are not found in the reference books, perhaps they were taken prior to the fire and are thus quite early. See ONCE UPON A TIME: VISIONS OF OLD JAPAN: PHOTOGRAPHS BY FELICE BEATO AND BARON RAIMUND VON STILLFRIED for excellent background information. Beato went to Japan in 1863 where he and Charles Wirgman founded the first Egnlish-language Japanese magazine: JAPAN PUNCH, which later became the FAR EAST, enhanced with actual photographs tipped in. Beato was the first foreign person to establish a photographic business in Yokohama. See also [Helene Bayou]: FELICE BEATO: Et L'ecole de Yokohama for many other excellent photos, and Yokohama Kaikoo Shiryo Kan comp. : F. BEATO BAKUMATSU NIPPON NIHON SHASHIN SHU for other valuable photos and details. Color scans can be sent by email. .
Autograph Letter Signed ("Wm Gaskell") to "My dear Mr Ashton" [Thomas Ashton, cotton manufacturer and Beatrix Potter's great-uncle], 4 pages 8vo, Plymouth Grove, 12 January 1871.